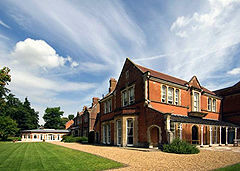 Oakwood House is a superb refurbished Victorian mansion set in Oakwood Park near Maidstone in Kent, situated just 10 minutes from Junction 5 of the M20 with ample on site car parking facilities. 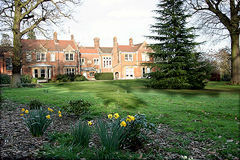 Built in 1870 as a private family home, today Oakwood is a popular conference and wedding venue. 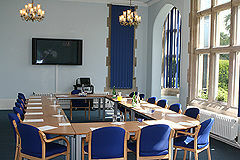 It is also an ideal film location where the requirements are for a Victorian property. 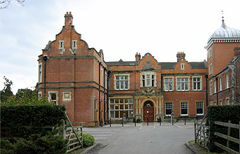 The House retains a real sense of atmosphere and tradition. 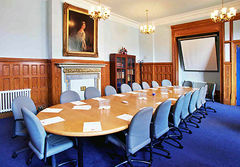 We have many wonderful original period rooms and features including our oak panelled Study and our large Billiard room. The staircase in the main hall is also a wonderful feature. There are lovely gardens and terraces including a Victorian Verandah. 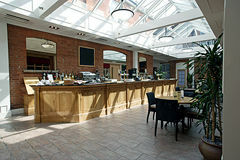 Our Courtyard Bar, situated in a stunning conservatory setting in the heart of the building, has recently been refurbished and offers an ideal location for a more contemporary film or television programme.